Chuanhe Yu, Ph.D. has always had an interest in genetics – the thousands of genes that make each of us unique. His research focuses on the growing field of epigenetics, which aims to better understand how environmental and lifestyle factors cause chain reactions, flipping the switch on genes and the instructions they provide to guide our body’s functions. It’s these changes that could be linked to the development of disease. For Dr. Yu, the most exciting part of his work is the possibility that the mechanisms he observes could be reversed, and may lead to new therapies to treat diseases like cancer. “We can’t change our genetic sequence, but we can potentially reverse epigenetic code that leads to disease. First, we must overcome the challenge that researchers have faced for years. We need to observe the biological and genetic process taking place as cells divide and grow in the body. We’ve recently developed a tool that provides a window into these processes, and we’re just beginning to analyze the significance of what we’ve uncovered,” says Dr. Yu. 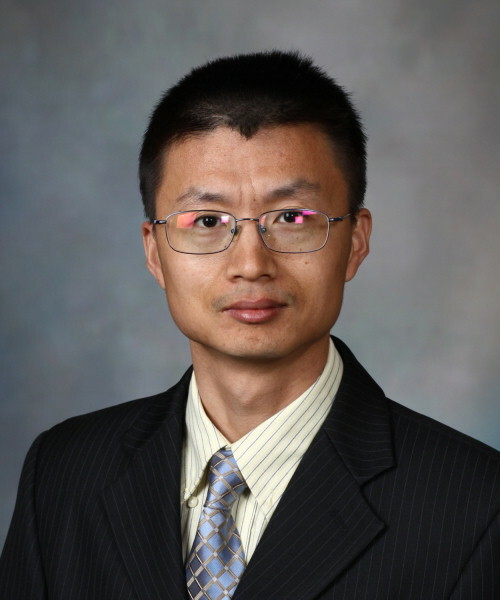 Originally from China, Dr. Yu earned his Ph.D. in genetics from Iowa State University. Drawn by Mayo Clinic’s reputation for excellence in clinical care and research, he joined the Center for Individualized Medicine Epigenomics Program research team in 2012. 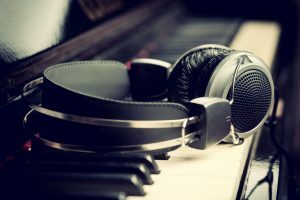 For a pianist, an electronic keyboard offers many different ways to play the same musical notes, without changing the keys. With the touch a button, players can shift the tempo of the music and the sound of each note, even combining effects to create a new interpretation of the original song. 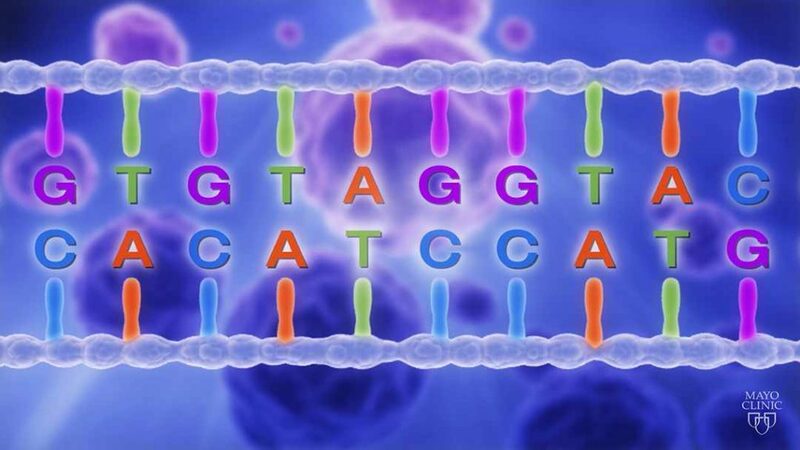 Consider now that the genes in our bodies are like the keys on the piano. They can’t be changed, but how our genes guide our body’s functions can. Our epigenome is similar to the different effects a pianist can use on the keyboard. It is made up of a multitude of chemical compounds and proteins that can attach to our DNA, changing how the genes (like the piano keys) perform in our bodies. Just as a pianist can flip a switch on the keyboard, changes in our epigenome can switch on or off genes, leading to uncontrolled growth, a hallmark of cancer, or to a failure in our immune system’s ability to destroy tumors or other diseases. As Dr. Yu explains, some of the changes in the epigenome are linked to our environments and our lifestyle choices, such as what we eat and whether we smoke or drink alcohol. “Human cells can respond and adapt to environmental changes through different mechanisms, including epigenome response. But there are many factors that can interfere with these mechanisms. For example, sustained exposure to tobacco can cause epigenetic alterations that turn a normal cell within the lung into a cancer cell,” says Dr. Yu. Our bodies are made of 50 trillion cells, many of which continue dividing over our lifetime. According to Dr. Yu, how DNA-associated epigenetic information is reproduced and the factors that can alter this process are critical to understanding how disease may be triggered. He and his colleagues recently developed a method called eSPAN, which stands for Enrichment and Sequencing of Protein-Associated Nascent DNA, to examine the mechanisms taking place as new cells are created. They published their findings in the journal Science. “Epigenetic information carried by DNA-associated proteins needs to be copied from parent to daughter cells for passing down traits that distinguish different cell types. The same mechanisms also propagate effects of environmental exposures that may cause disease. Using yeast models, we can apply this new tool and observe how the proteins that carry epigenetic information are transferred to newly produced DNA strands and how gene mutations can influence these processes,” says Dr. Yu. Using this new method, Dr. Yu and his team have observed the DNA replication process in a number of genes, including a gene linked to certain types of breast and prostate cancers in humans. “We’ve observed genetic changes in the proteins regulating epigenetic inheritance that have been detected in some malignancies. Our goal is to uncover whether these DNA changes are in fact the cause or the consequence of cancer development”, says Dr. Yu. As a next step, Dr. Yu and his colleagues plan to test the eSPAN method using human cells, hoping to uncover even more evidence of factors that lead to the development of disease. Dr. Yu expects the importance of epigenomics to continue to grow as more underlying biological and chemical mechanisms driving human disease are uncovered. “DNA alterations can have lifelong implications to our health. In addition, some epigenetic alterations can be passed down from one generation to the next. If we can understand why epigenetic alterations are occurring, we may be able to develop therapies that can reverse diseases by targeting these underlying mechanisms”, says Dr. Yu.